It’s not like that in the real world though, right? RIGHT? 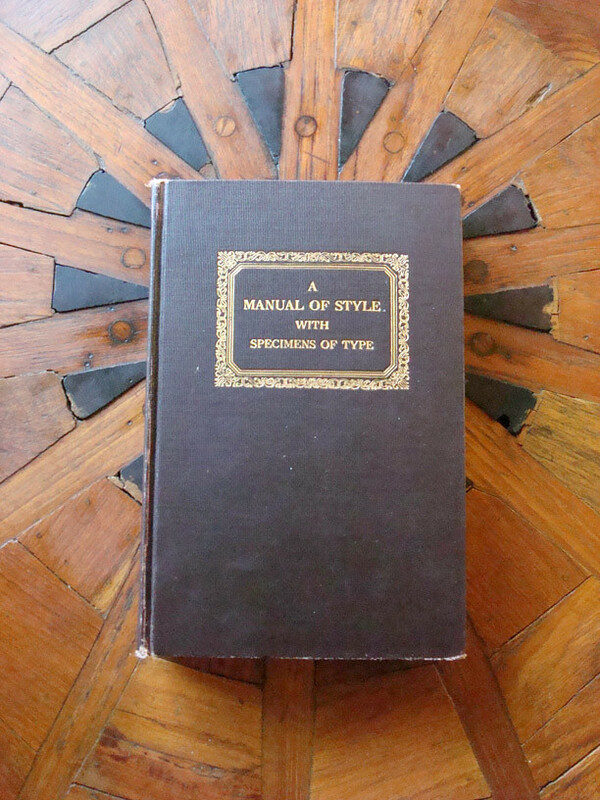 Sadly, I’ve encountered institutions saying that they generally adhere to a widely-accepted style (usually Chicago Manual of Style or AP Stylebook), when practice may indicate otherwise. Unless they have a written style sheet of their own, or at minimum can explain what their rules are to you, it becomes very difficult to edit copy for consistent style. Then there are the places where different departments use different standards and don’t talk to each other about it…! Perhaps the bickering wasn’t so bad. At least that meant that people were informed and truly cared. As you may be able to tell by the photo, my preferred house style is Chicago. Since 2003 I’ve spent a good deal of time working with the book and familiarizing myself with the details of their approach. One example: researching various approaches to how minority groups are named (African Americans? African-Americans? Afro-Americans? Blacks?) for the curator of a high-profile, potentially controversial museum. Chicago’s goal is academic clarity—a goal I can get behind—whereas AP style was born of a desire to save space and use less newsprint. 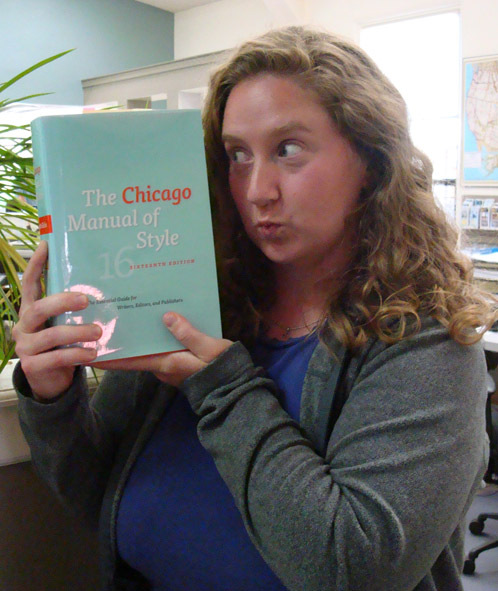 So what do you think happened when I recently saw an early edition of Chicago, titled A Manual of Style with Specimens of Type, at a Missoula thrift store? I gasped. I snatched. I read the tag. A green tag—that means it’s 50% off today! Meaning this baby’s only…$1.50! Now, I already have far too many books. On this day, I justified the purchase by telling myself I knew plenty of other people who would be wild about getting this as a gift if I decided to part ways with it. And yet here I am, taking photos of this early edition of Chicago to make it look like it has a halo. Here’s a photo of the stylized bookplate in the front. And here’s one of the many pages of type specimens. And the original purchase information. And a page of University of Chicago Press seals! It’s a gorgeous book—being the grandfather of my well-loved reference book makes it even sweeter. Something tells me I won’t be getting rid of this one for a while. This is SO geeky that I am forwarding it to the only other person I know who’s into books this hard. Thanks! This is my favorite kind of geeky! Early book editions have always interested me but oddly enough I don’t own any of my own. I suppose that I mostly enjoy blog posts about them. I never knew that comma had a name. I was taught to use it and always have. Another bit of nerdy trivia to add to my arsenal!